Morning readers, it's a bit grey and dull here today but I suppose after such a glorious weekend, we can't really complain. If the weather gods are listening though, more of the weekend weather would be much appreciated. The Munchkin and I left the building work behind and escaped to the West Country during half term last week. Unfortunately, I have inevitably succumbed to the boys' lurgy but at least life was not hugely more demanding than positioning myself in our cosy snug little sitting room and getting on with quilting the flannel, generally at some ungodly hour when I couldn't sleep through serious snuffling. I can highly recommend quilt making at just about any time of year but in the Winter it's an especially great idea as you can cosy up under the quilt as you sew. And might I say, the flannel is just the most divine furry quilt ever! I have about a quarter of the quilting left to go, then binding, so Charlie-Boy and I are getting pretty excited. 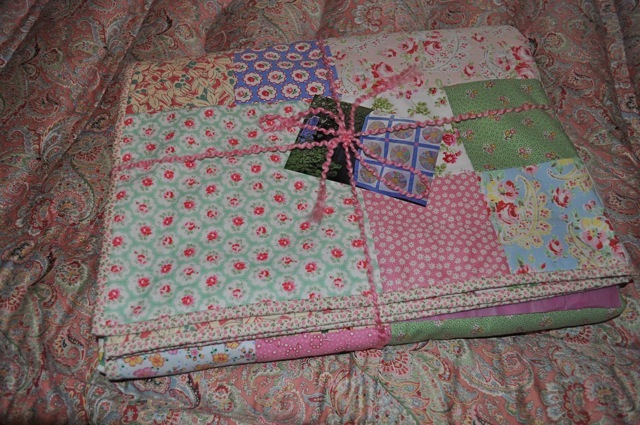 Talking of quilts, I also managed to finish this pretty patchwork quilt whilst I was away. This was a commission from the lovely Mandy who wanted a large quilt (this is about as big as I am happy to make as it fits on my quilting table), the brief being to incorporate Cath K floral prints and the colours pastel pink, green and blue. Mandy was a dream to work with and liked my idea of using 1930's reproduction cottons with the Cath K prints and we decided to add in some yellow and red. 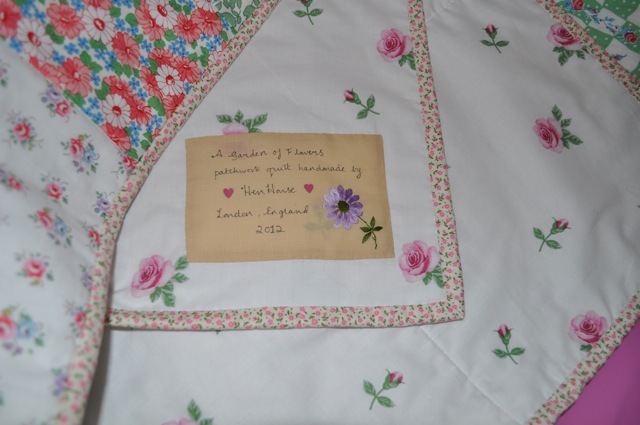 Mandy had some vintage hankies that were special to her which she ideally wanted to incorporate but the colours didn't really go with the front of the quilt. We decided to use one to make the name patch on the back which worked a treat. Off it went to its new home. Sometimes it is hard to let things go, especially when you've put so much time and care into them, and I have definitely cut down on my commission work lately but hearing another's (thankfully thrilled!) reaction to their quilt always reminds me that it's a really worthwhile thing to do from time to time. Once Mr HenHouse joined us at the cottage, it was time to go out exploring. 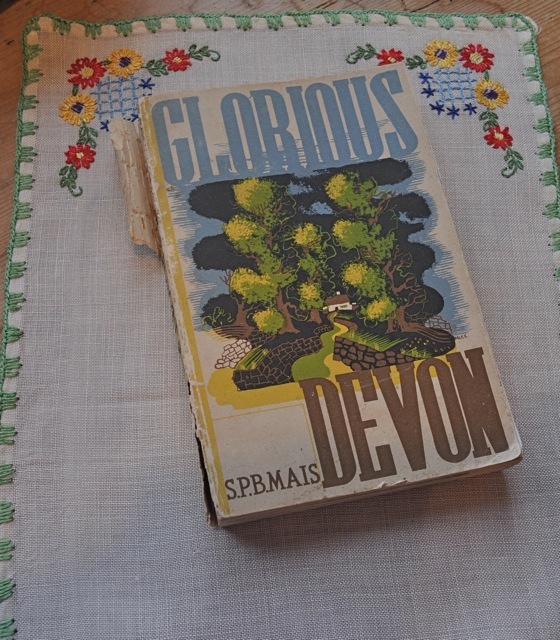 Somewhere we'd fancied going to for a while was the little town of Ashburton in Devon and so off we went. We were not disappointed, it's a very quaint place and there are some lovely, individual shops. 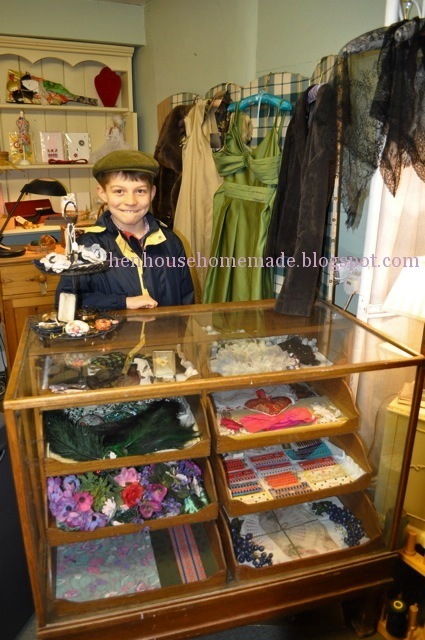 There are quite a few antiques shops and also a couple of the vintagey variety, as well as a patchworking shop which was an unexpected bonus! 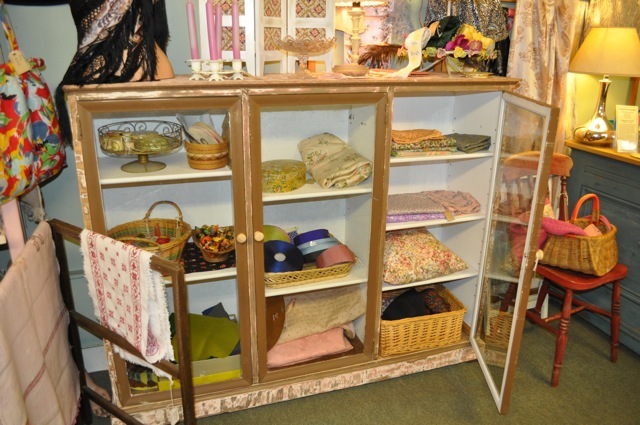 Into The Vintage Emporium we went and were delighted to find Amanda of Shabby Chick fame has a section of her goodies for sale there (she is more usually found at Totnes' Friday market). I couldn't resist a few bits, Amanda! 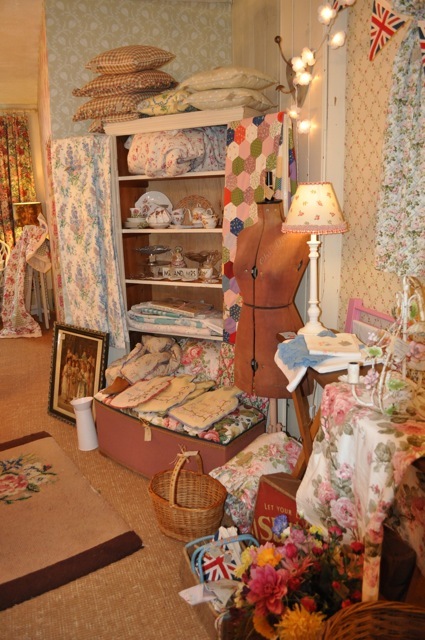 The shop itself is beautiful, having been an old drapers, indeed I was informed that The Vintage Emporium had patiently waited many years for the shop to become available and finally, was lucky enough to move there. 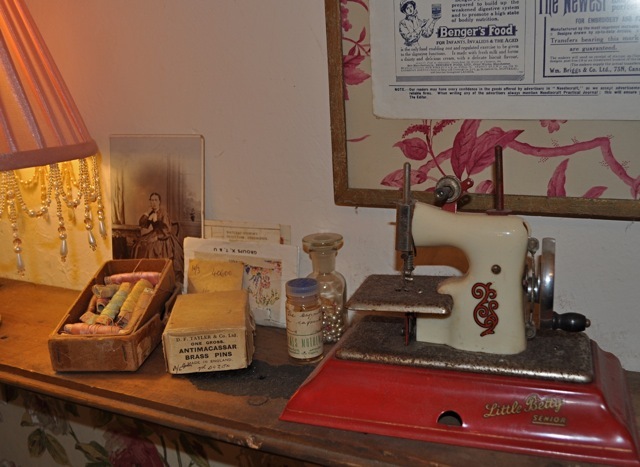 There are attractive displays throughout the shop and a little corner with a sewing machine for a spot of nifty crafting when time and customers permit, I suspect. I was taken with this dinky toy machine. 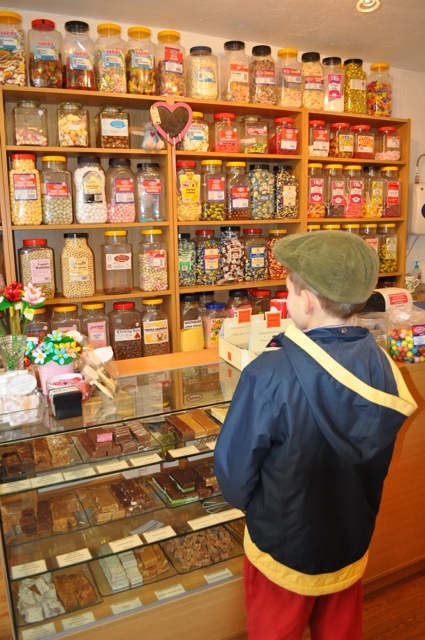 Whilst I was ogling the vintage goodies, the Munchkin was overjoyed to find a traditional sweetshop. I was less pleased when he took far too long choosing what he wanted! Time for a spot of lunch and where else but the absolutely gorgeous "Tea at Taylors", part tea room, part antiques shop. I can report that the sponge cake was delightful and if I may say so, I do consider myself a good judge of a light tasty sponge! The Munchkin gave it the thumbs up, too. Finally, we tracked down Ros in The Snug, what a lovely chatty lady. I found a cute homemade 1940's hat and some original vintage fabric covered hangers for my vintage frocks. It seems she has herself a new shopkeeper! 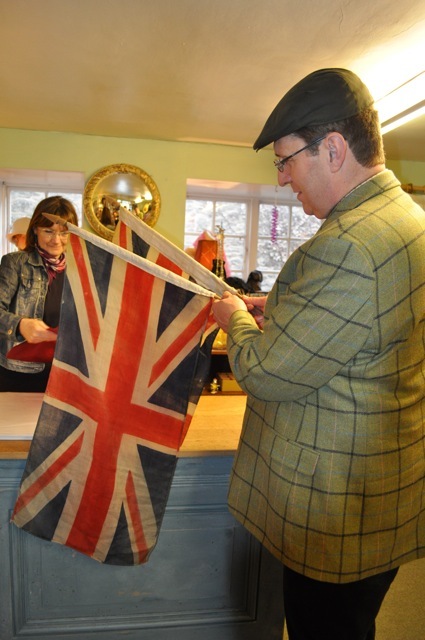 Mr HenHouse also found some items to take home, ready for a Jubilee party maybe? 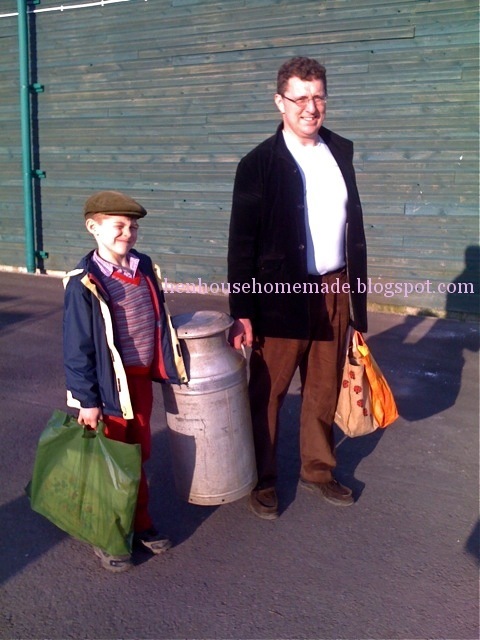 We had a lovely time in Ashburton and I'm sure we'll be back but there was no time to waste as on Sunday, it was off to Smiling Somerset to attend the Shepton Mallet Flea Market. This has become a very popular event and was bigger than ever. This meant we were there even longer than ever but made some super thrifty finds and enjoyed catching up with some friends along the way. Oooh, but I do like a good rummage, there's plenty of treasure to be found if you but look hard enough! I love the quilt you made for your commission, and totally empathise with you regarding letting your creations go to their new homes. Everytime one of my handknits finds a new home I feel a little sad, but yo have to remember that's because you've put so much of yourself and your time into each creation...and isn't that the whole point why hand crafted items are so special. So we just have to hope that each new home will appreciate the love and care gone into each item. It is hard to let things go. I hate selling my paintings! Sounds like a really fun weekend, despite having a cold- there are some really persistent ones about this Winter.Soft and snuggly quilt to work under, always good in the colder months, I'm just about to start a new brushed cotton number.The cats will be thrilled. It's dull here today too, though I will probably get in some digging at soem point! I think Ashburton should pay the hen family for making all there shops look so authentically British!! Oh...I just love your site!!! Your beautiful room with all the pillows and your quilts..what a lovely cozy room!! Your quilt is wonderful....so hard to let go! I love your label... As always a visit to you gets me right in the sewing mode....so much inspiration!! Thank you! 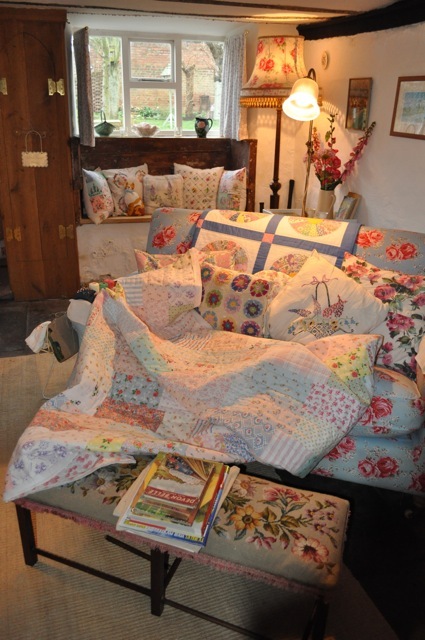 Beautiful quilt and I too, love your cottage. I can understand Munchkin's indecision over choosing the sweets - can you still get white chocolate mice, they were my favourites. Munchkin and Mr HH might like to have a look at my blog to see Mr VG's recent make, right up their street I think! Looks like a brilliant weekend. Gorgeous quilt! Another fabulous quilt! I couldn't bear to part with it if I had made it that's for sure. I love your quilts. The one for Mandy is beautiful and I love the colours and the idea of useing the hankerchief for the name panel. 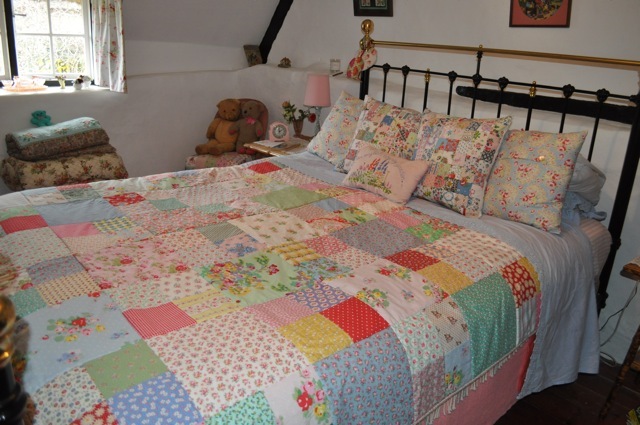 Your pastel coloured quilt is absolutely gorgeous too. Both quilts beautiful but comepletely different. We went to Taylors in May two years ago one beautiful Saturday afternoon, the day that would have been my mum's 70th birthday so I dedicated that afternoon tea to my mum by having a piece of her favouite cake Lemon and Coconut. I do love reading your posts, I feel like I've been there with you! Love your quilting. Take care and enjoy your week, Clara. I love Taylors tea shop also. Even the toilets are nice ! Oh my goodness what a weekend you had. I am wishing I was there right now. I doubt I'll ever get to your neck of the woods, so I'll just enjoy watching you and joining your adventures on the blog. I am working on a flannel quilt for a friend, and I agree, it is lovely to sew! Have a happy, happy week Hen, and take care my dear. That quilt is just stunning. 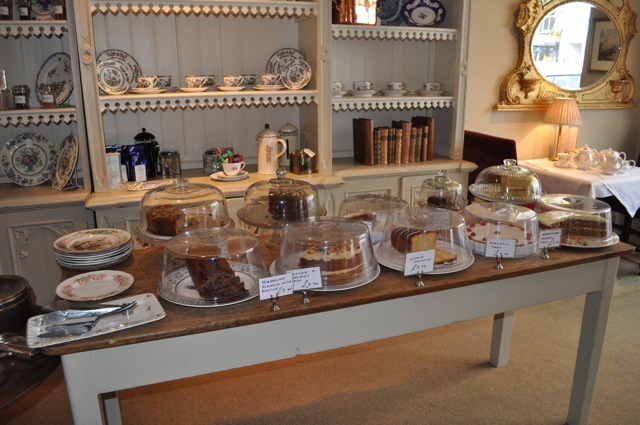 So many cakes...how could you choose? It's nice to see another one of your lovely quilts, by the way. They are so inspirational - love it! 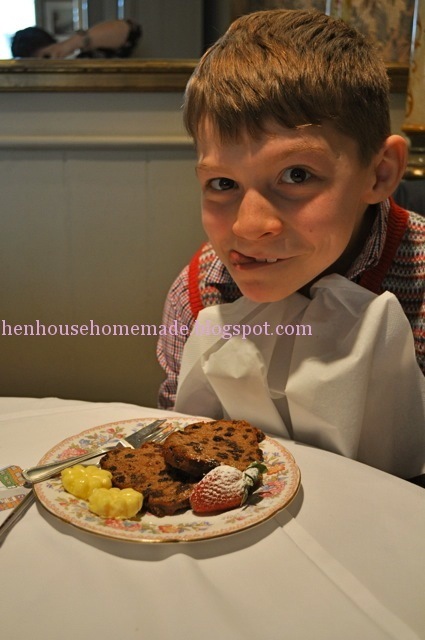 Thanks for sharing the photos and tips on Ashburton. It's somewhere I've heard a lot about but not ventured for years! Looks like you all had a lovely time. What a wonderful weekend. 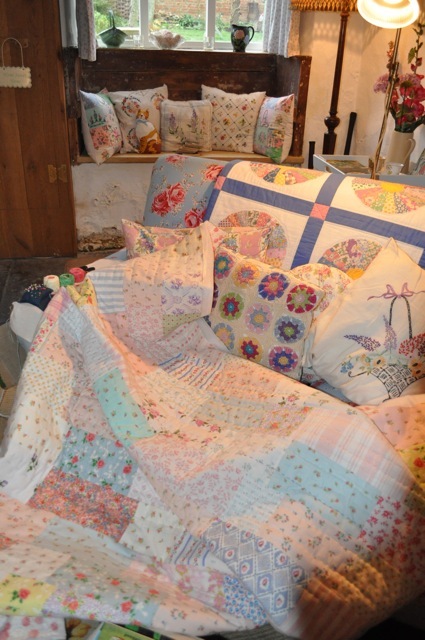 Two beautiful quilts, I'm sure Mandy really loves her 'commission'. Hope you have recovered from the lurgy. What fun pictures! I love your cozy little family room. We wish we could join you for a day of tea and quilting. What lovely pictures! We love the colors of your cozy living room. Your quilts look wonderful.